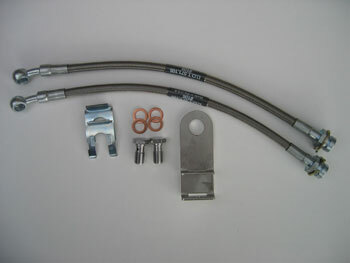 FlexKORE™ rear C5/C6 conversion brake line kit. Designed to work in conjunction with the C5/C6 calipers and your original hard line at the axle. Note: Hard lines will need to be rerouted and/or shortened and reflared for installation.